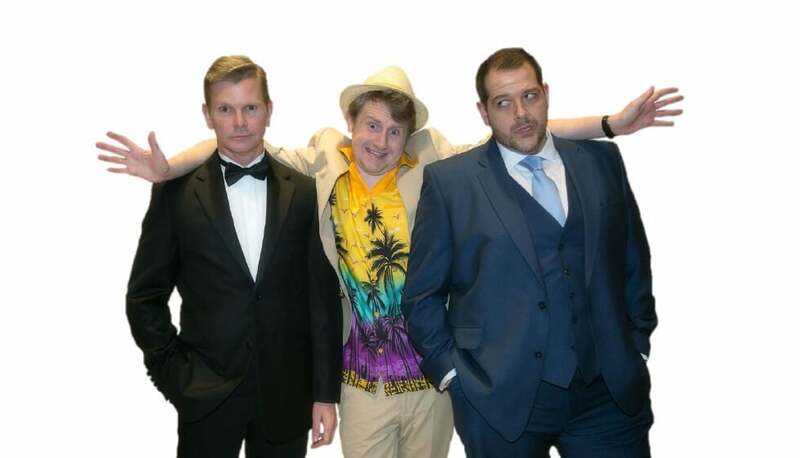 Classic 80s film Dirty Rotten Scoundrels was reborn in 2004 as an award-winning Broadway show, and this month Southey Musical Theatre are bringing the much-loved comedy to Montgomery Theatre. Alex Harban caught up with lead actor Ben Bason to get the lowdown on amateur theatre in Sheffield and what we can expect from the production. Hey Ben, how’s the prep going? It’s going well! The show starts this Wednesday so we’re all very excited about that. Rehearsals are at a really exciting stage since we’re in the process of bringing everything together. I didn’t really know the show at first, so to have gone from that to being fully immersed into it is incredible. How satisfying is it to see it everything come together? Very. It’s something we’ve been working on for four or five months now, and everyone’s been doing their own bits, but now we’ve brought it all together and it’s starting to feel like it’s ready. The director, Mark Feakins, is very experienced; he used to be the executive producer at Sheffield theatres and his experience has been a massive help. What made you want to get involved with this production in the first place? Just because I saw it advertised, did some research and it looked like my kind of thing. I really enjoyed the film when I watched it so I looked into it a bit more. It’s the kind of thing which doesn’t take long to get into – it’s so much fun you just get hooked straightaway! Of course, our show differs from the film as it’s a musical, so I researched the stage productions of it and was even more convinced. It’s got a great, really catchy soundtrack, and I’ve not really done a musical for a long time, so I just decided to go for it! What’s your background in performing like? I’ve done quite a lot – nothing professional but lots of am-dram all over the place. I was in a play called One Man, Two Guvnors last year, which was great fun. I’ve been in Sheffield for about a year now and was involved in a great production at the Lantern Theatre in Netheredge towards the end of last year. It was a lovely small-scale venue, but I’ve not done anything on this scale before in Sheffield. How important do you think am-dram is to communities? It’s really important. It really is such a great community; everyone supports each other and goes to see each other’s shows. It can be scary if you’re wanting to get into it at first, but everywhere I’ve been has always been really welcoming. Am-dram is great as it brings people together from all corners of life and allows them to be a part of something together. There are a lot of people in this show who are doing it for the first time and already say they want to carry on forever. It’s a fantastic way to meet new people and make friends. Is it difficult to fit rehearsals around other commitments? So you’ll be playing Freddy in the show. What’s the character like and what do you bring to the role? He’s great. He’s brash, he’s in your face and the show is quite sophisticated until he turns up and ruins it all. It’s a really fun role to play as I think he’s a bit like me. I basically just exaggerate myself and that’s him! I’m one of the youngest members of the cast so I’d say I bring youth and energy to the role, which means my character really contrasts well with Lawrence, the other main character. What would you say to anyone who wants to get involved in amateur theatre? Do it. Have a look online, it’s really easy to find something, especially here in Sheffield. There are so many societies, so much variety. Just get in touch with someone; it’s so inclusive and easy to get involved in. Last one then! If you could choose one person you would want to come along to The Montgomery to watch the show, who would it be? Ooooh, that’s tough! But I’d have to go with Steve Martin, as I’d like him to be able to see my take on his character. The way I play the role is inspired by him and I’d love him to give me his view on it. The Southey Musical Theatre company’s Dirty Rotten Scoundrels debuts at The Montgomery Theatre on the 10th May. Tickets start at £10 and are available here. Why is Greece the summer hotspot for 2017?